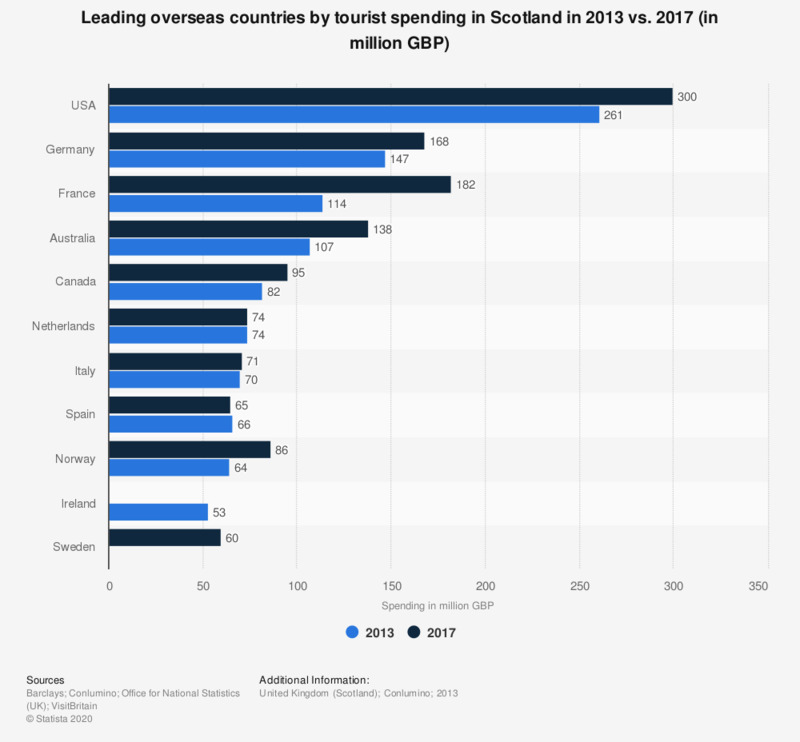 This statistic displays a forecast for overseas tourist spending in Scotland in 2013 vs. 2017, by spending per country. The US led in travel spending in Scotland, bringing in 261 million British pounds in earnings in 2013. This figure is forecasted to amount to 300 million British pounds in 2017.